Do you remember this fabulous book? 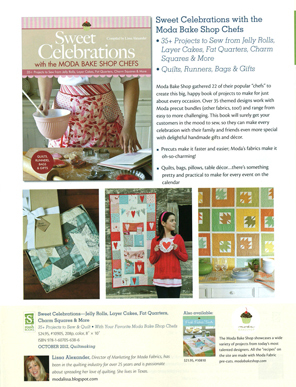 The book is filled with over 35 projects for celebrations and holidays, including quilts, bags, gifts, runners and table decor. Something for everyone to fill the calendar year with fabric delights. My big news is that I am one of the chefs. Last year, I received an e-mail inviting me to contribute to their second publication. Without hesitation, I said, “yes”! 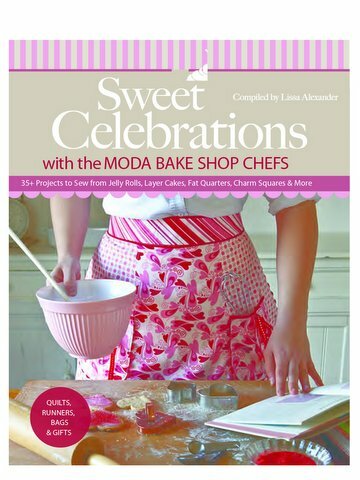 I am truly blessed and so, so excited to be part of this book along with so many wonderfully talented Moda Bake Shop chefs. While the book is not due for release until Autumn 2012, there will be lots of fun events and a book tour to introduce you all to the chefs and their projects. I hope you can join us. 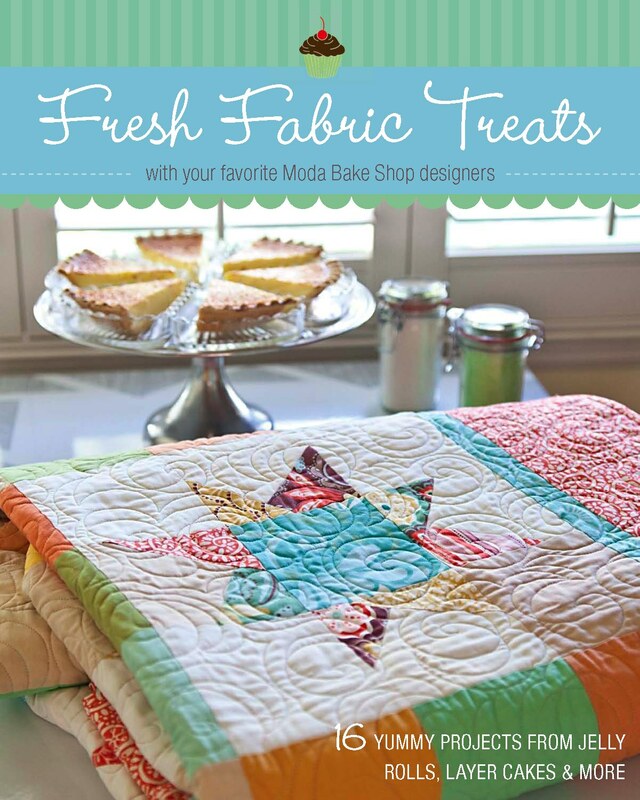 The book is compiled by Lissa Alexander, Director of Marketing for Moda Fabrics, and published by Stash Books. Release date is October 2012. YAY.. Go you! What a great honor to be part of.. love their first book so ill be waiting for the second with great anticipation! Congratulations, Jane . Really it's very exciting. This is so exciting. Congratulations Jane, I can't wait to see what you have cooked up. Well, well done Jane…I guess you can't give us a sneaky peak of the project yet…so I will wait patiently for buy a copy. I love stash books. Yay Jane! So excited for you!! Can't wait to see it. Congratulations Jane. Can't wait to see your creation. Very exciting. Woo-hoo for you Jane! I know you will make something wonderful! Awesome! I know what will be on my Christmas List this year!!! Congratulations, Jane! Thank Cory. I will be going away some copies of the book nearer to the release date. Fantastic news Jane,will have to put it on my to buy list for later this year…..well done 🙂 Barb. Thank you Barb. You are so sweet.